ELK Studios are builders of mobile casino games which are also available to play on desktop devices such as laptop and PC. They were founded in 2012 and have aimed to build tools and distribution capabilities to the whole mobile casino experience to a new level. Their focus is using advanced maths models and a high level of technology to create the slots they’ve released. 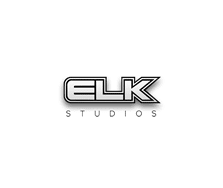 ELK Studios are all about mobile first – they believe that players love playing casino games on their smartphones and tablet devices so that is their focus. Based in Stockholm, Sweden, they only have a few casino games on offer but what they deliver is different to what you can find online. I for one am excited to see what they release in future. If the games are anything like the superb Taco Brothers, then slot players are in for a treat. ELK Studios slots can be found at quite a few online casinos but I’d recommend LeoVegas Casino who offer their full range and many, many more.